Prepare for the FAA examination under Part 107 for Remote Pilot Certificate with a small UAS rating. 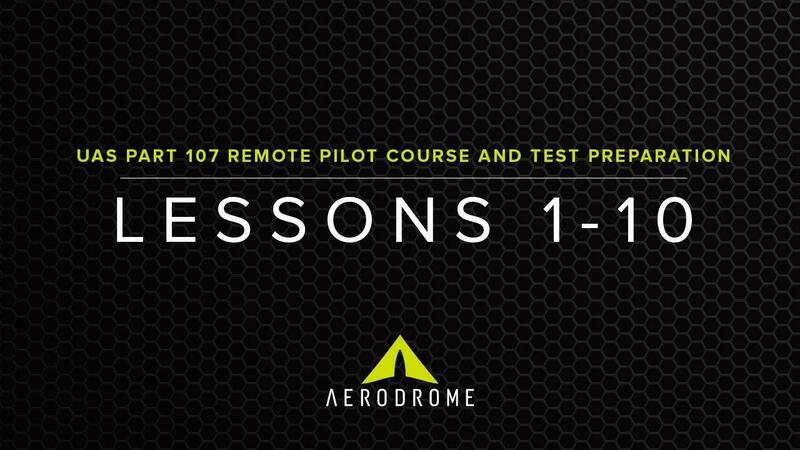 This course is among the first, best, and most comprehensive Part 107 remote pilot course offered in the industry. Master the aeronautical knowledge required to safely operate a small Unmanned Aircraft System (sUAS) in the national airspace, and to successfully complete the FAA Unmanned Aircraft General (UAG knowledge test for a Remote Pilot Certificate with a small UAS rating. Demonstrate knowledge of Federal Aviation Regulations, regulations governing operations of UAS, understand different types of UAS operations, and understand Title 14 (Aeronautics and Space) of the Code of Federal Regulations (CFR) including Part 107. Identify National Air Space (NAS) and make flight decisions requisite to the flight plan. Find and successfully interpret Temporary Flight Restrictions (TFR) and Notices to Airmen (NOTAMS) on the FAA website. This material is presented in a self-paced, online training course. Each lesson begins with a pre-test to allow the student to evaluate their knowledge in that subject area. If the test score indicates the need for some study time, the student can proceed with the virtual instruction. Each lesson ends with a comprehensive post-test to ensure students have mastered the required information from the material presented and to practice answering questions about topics that will be present on the Part 107 FAA examination under Part 107. If the pre-test indicates a high degree of competency with the material, the student can skip to the next pre-test and evaluate their knowledge in the next subject material. At Aerodrome, we don’t just react to current standards; we prepare for what will be. This course is written by experienced professionals with a deep understanding of the industry, regulations, and certification process to prepare you for success. This course is open-enrollment. Students can begin at any time and may complete the course at their own pace within 1 year from the purchase date. On sale now for only $99.00, course regularly $299.